I'll be doing quick reviews of products that I think are interesting (and ones that I hope you find interesting as well), and popular, just like the products I'll be reviewing in this week's 'Quick Review'. 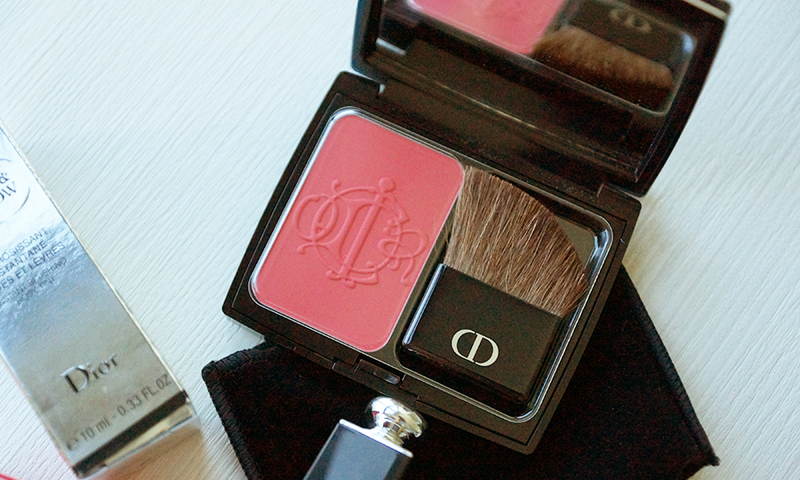 These are a couple of products that I received from the Dior Spring 2015 collection, called the 'Kingdom of Colors' collection. 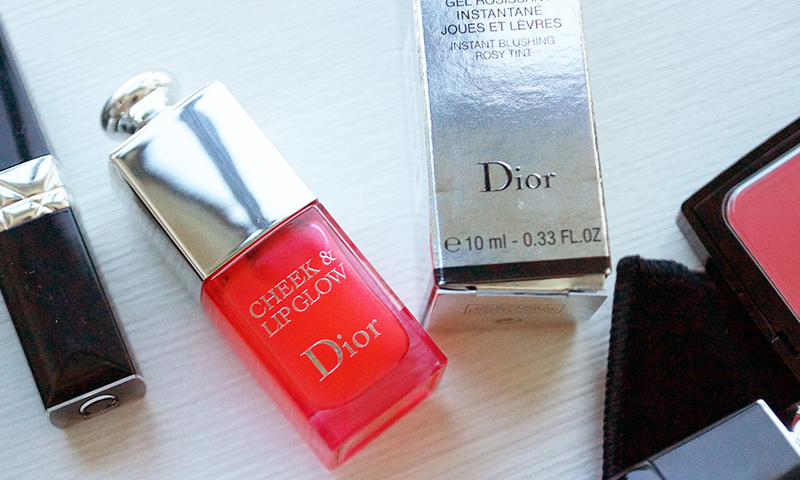 I received two cheek products; the 'Cheek & Lip Glow' and the Diorblush in 'Cherry Glory'. Cheek & Lip Glow - this is a neon pink coloured, lightweight liquid stain. It's very subtle, and a few layers are required to get a lovely pink glow. I personally think this is a fantastic product because it is foolproof - you can never over-apply this and it blends really well into the skin without my needing to smooth it in too much or too long - and it's long-lasting. The only thing you need to take note of is that this is a liquid product, and therefore it won't blend well with powder. If you're using a powder to set your makeup, use this product before applying your powder. If you're using a powder foundation, I wouldn't recommend using this product with it because it's too light to be used under the powder foundation, but too liquid-y to be used on top of a powder. I find that this product works best on the lips; it gives my lips a beautiful pink stain that looks both pretty and natural - and I used it on my lips in the picture below. I also received their brand new It-Lash Mascara in It-Violet, which is a fun, striking shade, though a wee bit impractical for everyday use. 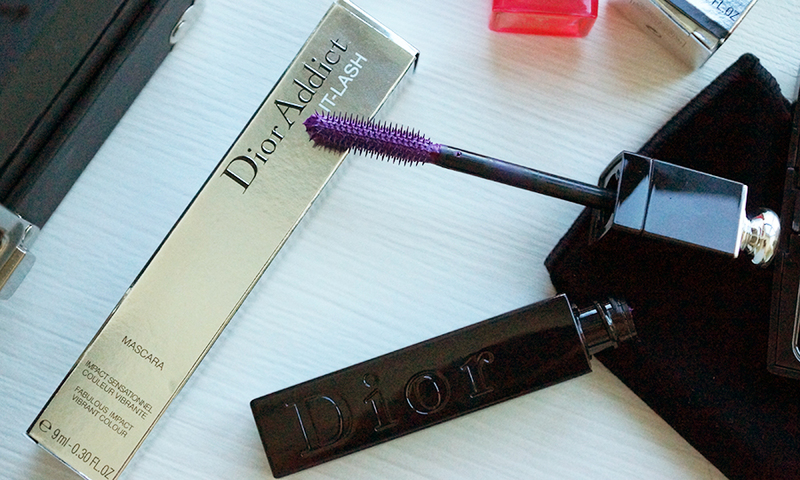 I haven't tried many Dior mascaras (only the Diorshow, which used to be one of my favourites), but I did love that it plumped up my lashes quite a bit. The colour of this particular mascara is quite subtle (as you can see in the picture below), so it can be a fun little punch of colour to add to your look without being too 'out there'. Personally, I love my black mascaras and that will never change (the same way I will always choose black eyeliner over any other colour), but it's something fun to have on days when I'm trying to create a different look. Dior has also released limited edition Rouge Baumes, which I didn't receive, but I have tried these balm-lipstick-hybrids, and I used one in the look I photographed below. 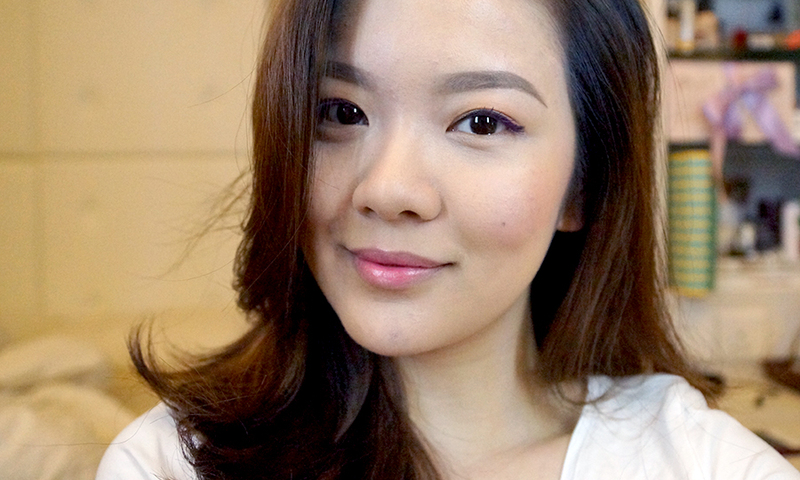 I used the colour 'Star', which was released before this collection, on top of the Lip & Cheek Glow. These feel lovely and creamy on the lips, and provide just a tiny hint of colour, much like the coloured lip balms that most brands on the market have in their product lineup at the moment. It gives your lips a hint of glossiness too, which I personally love, because gloss gives your lips that extra bit of oomph and makes them look plumper. Dior Star Foundation in 020, Anastasia Beverly Hills Dipbrow Pomade in Taupe, Dior Mono Fusion Eyeshadow, Physicians Formula Shimmer Strips Eyeliner, Dior It-Lash Mascara in It-Violet, Diorblush in Cherry Glory, Dior Cheek & Lip Glow in the centre of the lips, Dior Rouge Baume in Star over entire lip. 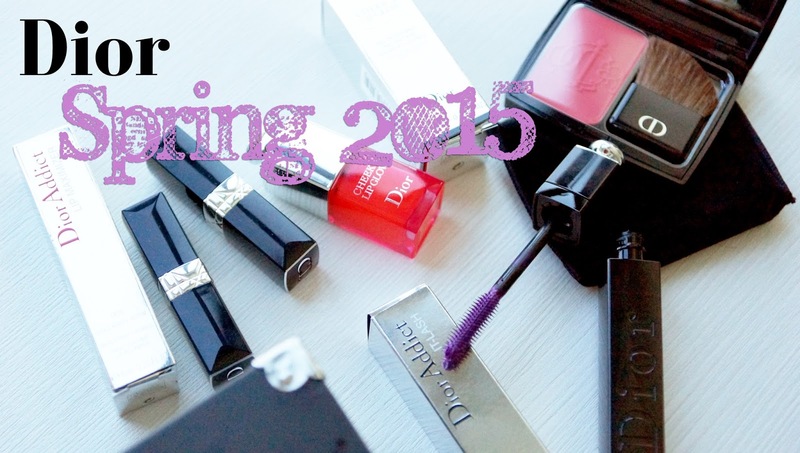 The Dior Kingdom of Colours Spring 2015 collection is on counters now.